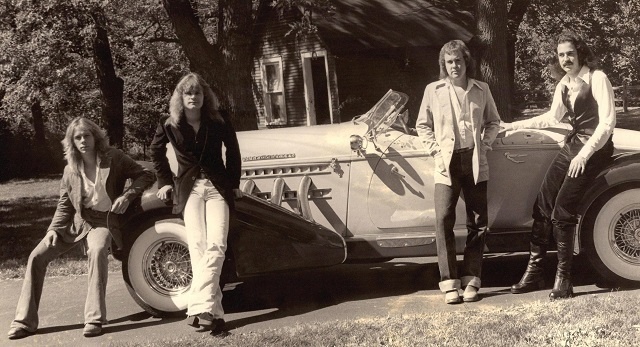 Midnight were only teenagers when they recorded their 1977 privately pressed debut Into the Night. 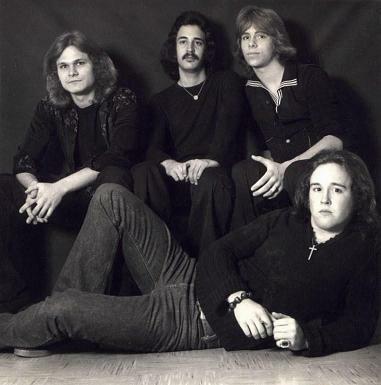 It all started around Olympia Fields, Country Club Hills, and Chicago Heights, Illinois where Dave Hill (vox, keys), Scott Marquart (drums), Frank Anastos (guitar, vox), and John Falstrom (bass guitar) were listening to a lot of hard rock and wanted to have their own band. You grew up in Melody Mart in Homewood, Illinois. Was music a big part of your family life? John Falstrom: Music was a huge part of my childhood. I was a serious record collector from 3rd grade through 8th grade. It got me through school. What was the scene in your town? Any other kids interested in hard rock? The music scene out here was really good. A lot of all styles. Hard Rock was huge with my generation. I started playing the bass guitar when I was 14 during my freshman year in high school. I finally wanted to take the mystery out of the music I was hearing all my life. My early influence was Top Forty AM Music i.e. The Hits of the Day. Were you in any bands prior to the formation of Midnight? At first your were called Midnight Express. Can you elaborate the formation of Midnight? 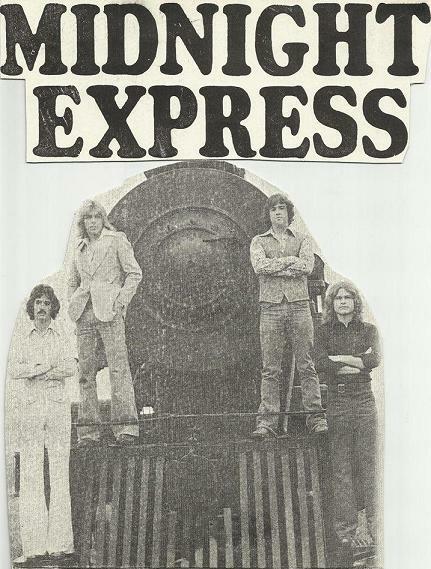 I was the last member to join Midnight Express in June of 1975. I’m not 100% sure of how it all evolved into what I got into in June 0f 1975. I do know we were all the same age and the same year in High School (Sophomores). How did you decide to use the name ‘Midnight’? 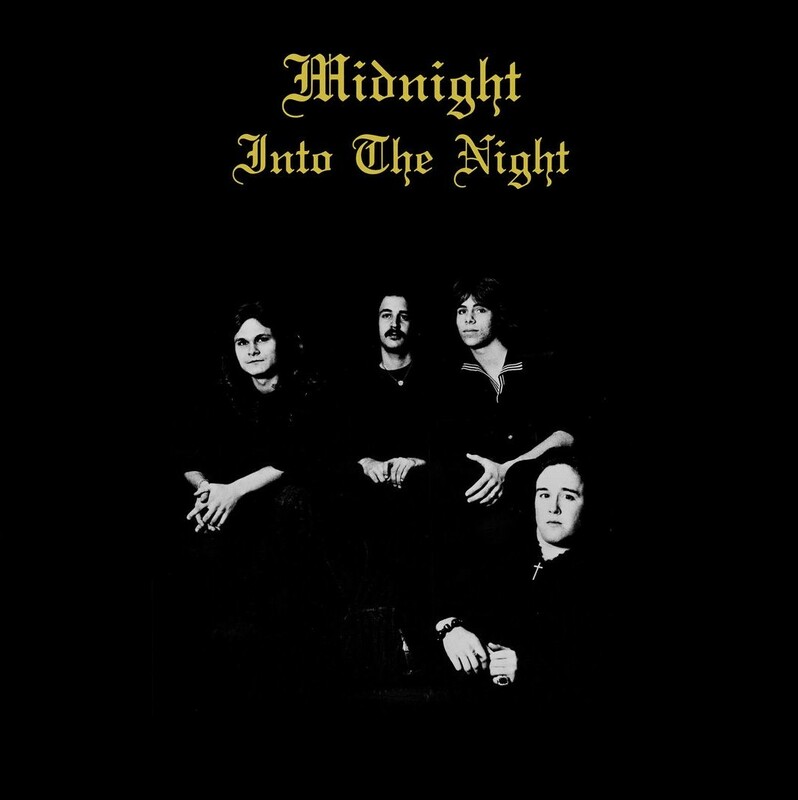 We changed the name of the band to Midnight right before our 1977 LP Into The Night because we started wearing a lot of black cloths and our music was getting heavier and heavier. It just worked. 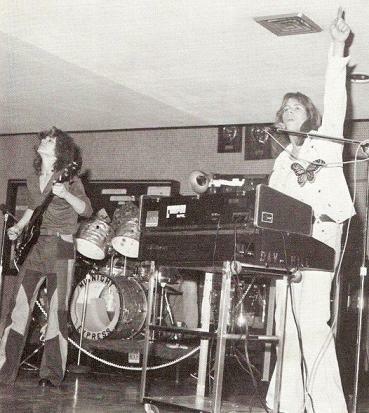 When and where did Midnight play their first gig? Do you remember the first song the band played? What kind of material did you play? Only covers or also original songs? 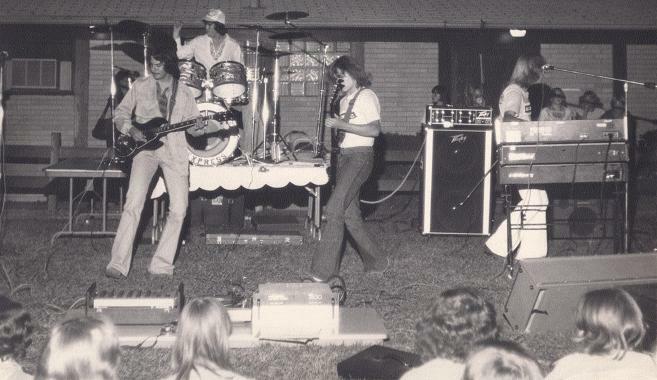 My first gig with Midnight (Midnight Express) was at a local town’s annual Picnic at a forest preserve in Midlothian, IL in June of 1975. 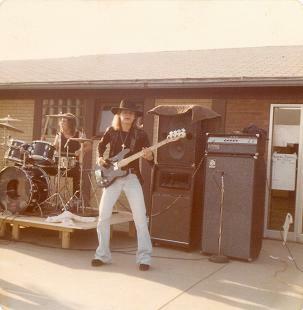 We played about 85% Cover tunes by artist like: BTO, Foghat, The Stones, The Beatles, and anything that rocked. We did about 15% originals. I think our own personal growth as musicians on our respective instruments was the main influence of our overall sound. The story behind our debut Album was that we came into $$$ to record a full length LP. We recorded it in the basement of a guy named Al Kitlica out of the south suburbs of Chicago, IL. We recorded all 10 songs in 8 hours recording it live as a band minus vocals and solo’s. We did the vocals and most of the solo’s the same night. The next day we did a few over-dubs and mixed the entire LP. We spent a total of about 18 hours in the studio for the entire process. We had Gibson and Fender Guitars and Basses, Ludwig Drums. I plugged my bass right through the Recording Console…The Guitar, Keyboard, Drums and Vocals were all miked. The band produced the Album! How old were you when you pressed your records? We were all 17 and 18 yrs old. The lyrics were written by a friend of the band about our commitment and lifestyle. Music by Dave Hill (Lead Singer/Keyboards). Words & Music by Frank Anastos (guitarist/vocals). Only Frank could answer what this song is about. I wrote this one about a couple of girls I knew. Written by Frank Anastos. The Lyrics seem to indicate that some girl was using him for all his $$$. Dave Hill and Scott Marquart (drums/percussion) wrote this one about what the future holds. I wrote this one on an eerie fall night in October of 1976 in The Forest Preserve we used to hang out at. It’s about Vampires who can get invisible right before they. Well, right before they kill you. Written by Frank Anastos. Appears to be about a girl who doesn’t really care if Frank lives or dies. I wrote this one about Midnight Express. Positive vibe. Dave Hill wrote this one about seeing things that aren’t really there. Dave again. Appears to be about a messed up relationship. 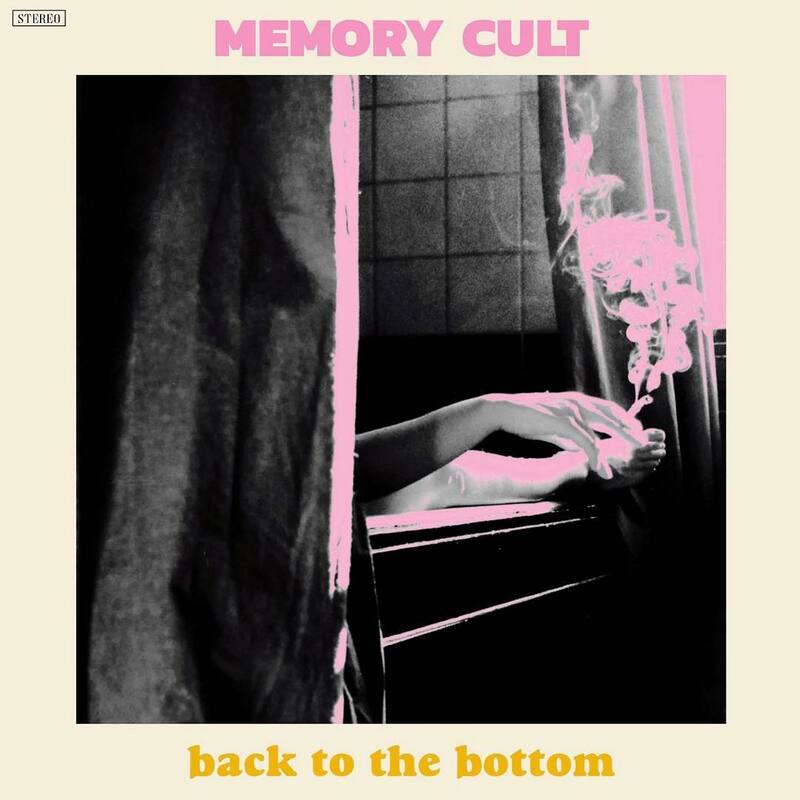 How did you do the cover artwork? We took the photo’s in Frank’s parents basement with Jack Grigas using great camera work. Unfortunately we all hated the sound of the LP when it was released. We obviously made the ultimate mistake of assuming that the owner of the studio knew how to mix and master a hard rock LP. And he certainly did not. Did you play any shows after the album was released? Playing Live shows was our great strength throughout the 5+ years we were together. Were you friends with other bands from your town? Not really. We stuck with our own. We had a very large entourage. I just kept going with playing bass full time to this day. There is a lot of unreleased Midnight material. Playing & teaching the bass guitar. Taking care of business with my Theory Textbook I wrote for the bass called ‘EADG 4‘. I definitely miss being a member of Midnight. Perhaps my greatest Band I’ve been a member in. Definitely the most original and complete Band.